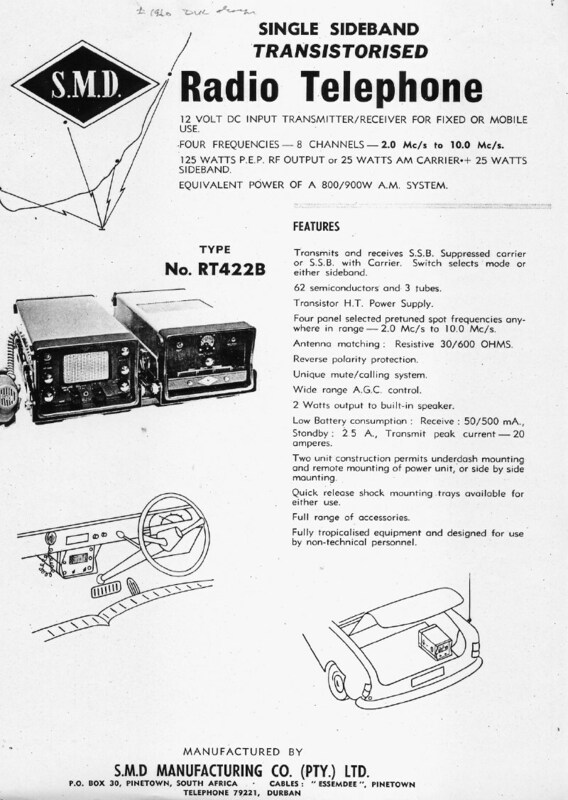 The "broad-band" "all solid state" prototype was the archetype of the RT14 and in turn the Racal Squadcal and Racal TR28. 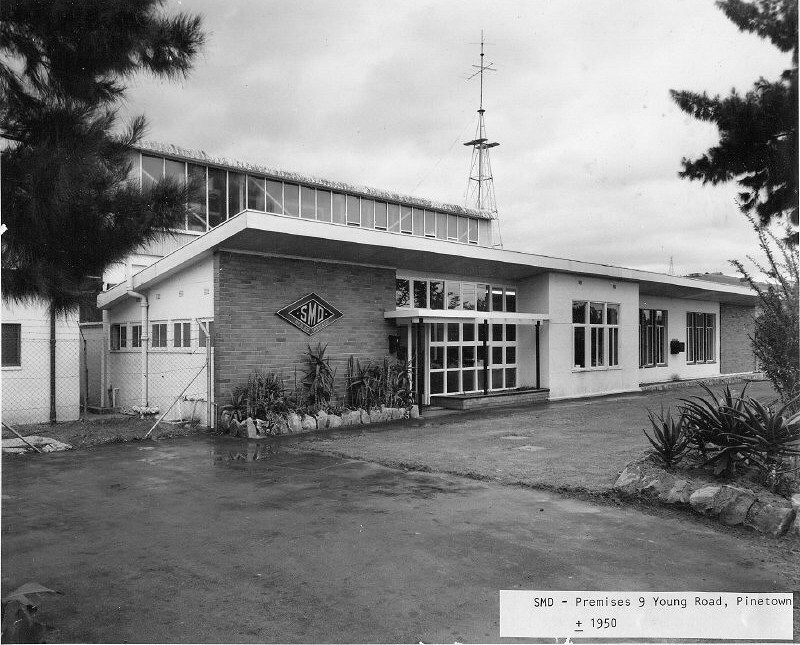 The "tuned" prototype was further developed and manufactured by SMD in Pinetown and later modified by RACAL-SMD in Pretoria. The modification increased the power level to 150 Watts P.E.P. RF OUTPUT and the operating frequency range to 2.0-16 Mc/s. 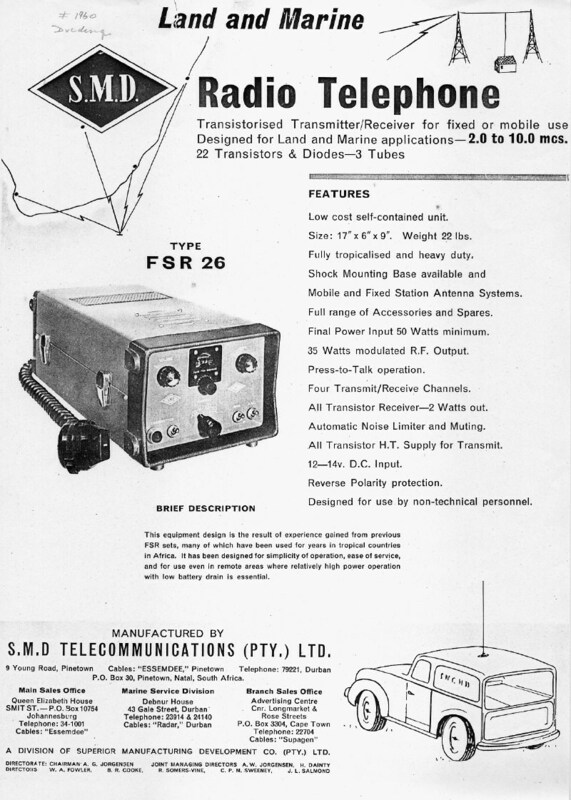 Large numbers of the RT422B SSB Transceivers were soon in use throughout Africa. Note: The AM Radio Telephone "FSR26" preceded the SSB Radio Telephone "RT422B". The receiver was fully transitorised as well as the transmit H.T. power converter.